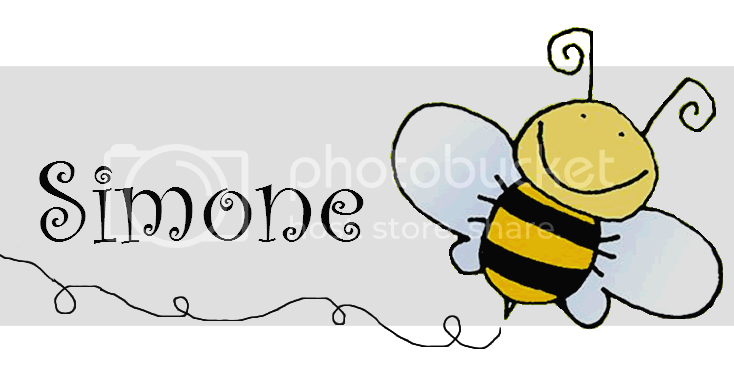 Busy as a Honey Bee: Can You Guess? OK hold on tight.... time for a bit of a hodge podge! Firstly! TODAY is the day that you want to enter the giveaway! 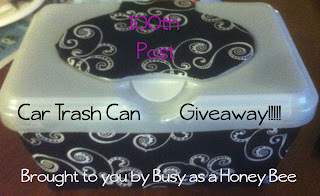 Its the last day because tomorrow night when i get home from dinner, i will be picking the 100th Post Car Trash Can Giveaway Winner. I will post the winner shortly after that! Please make sure to comment with your email address otherwise you will not be entered! Next, its Oh So Pineresting Wednesday!!!! This week's theme is .... well let's see if you can guess! 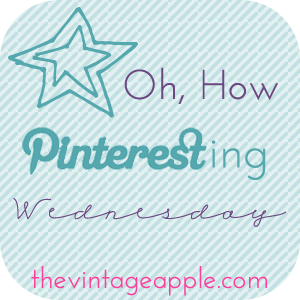 Link up to share your pins with Michelle from The Vintage Apple & Her Little Apple! Have you guessed yet? I think you have ... hubs and i are headed to Seattle and then a 7 day cruise to Alaska at the end of July!!!!! I cannot wait! I need a vacation and know that about 8 weeks from now i will need it even more! A reminder again to comment with your email address included on this post to enter the giveaway that ends Wednesday night!